An Innovative system for cleansing oily and acne-prone skins based on selected active ingredients obtained from plants from 5 different continents with specific purifying and serum rebalancing action. An Innovative system for cleansing oily and acne-prone skins based on selected active ingredients obtained from plants from 5 different continents with specific purifying and serum rebalancing action. 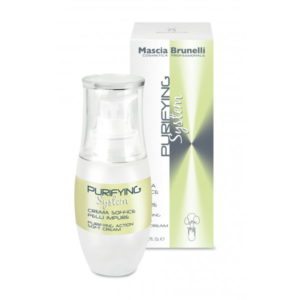 Delicate gel with refreshing action suitable for impure and sebaceous skins. 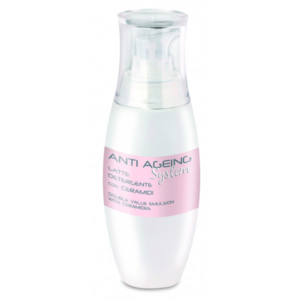 Purifies pores and refines skin grain. With wide spectrum active principles of vegetable origin, it preserves healthy coetaneous tissues for a long time. Apply every morning and evening for about 1 minute on face and neck with light circular movements. Do not apply on eyes outline. Rinse abundantly with water. Tarchonanthus Camphoratus Oil: plant originally from Africa with anti inflammatory, antibiotics Powerful lenitive skin action. Exclusive ingredient discovered by our R&D department. Tea Tree Oil (Melaleuca alternifolia): tea tree oil is obtained by steam distillation of the leaves of Melaleuca alternifolia. Tea tree oil is purported to have antiseptic properties and has been used traditionally to prevent and treat infections. Antimicrobial properties. Aloe Vera: powerful moisturizing and lenitive natural ingredient, has antibacterial and antifungal activity. Water Lily: a new soothing active ingredient of botanical origin adapted for sensitive or sun damaged skins. 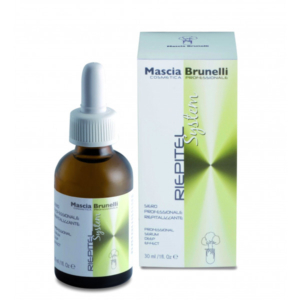 Riepitel system is an innovative solution for skin scar treatment and reduction of keloids. Innovative emulsion make up remover with smooth, moisturize, and cleanse effect.